Giving the Alesis IO Dock a run for their money is Behringer BEHRINGER iSTUDIO iS202 iPad dock. 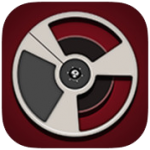 Connect your guitar, bass and MIDI instruments to your iPad and GarageBand. StudioConnect gives your iPad: audio in and out, MIDI in and out, and a stereo headphone jack with its own volume control so you can monitor what’s going in (or out). Whether you’re a serious musician, a confirmed hobbyist, or a budding composer, you know about MIDI (Musical Instrument Digital Interface). Unlike audio recording, MIDI lets you capture the digital instructions for a musical performance, and then play them back later on a MIDI instrument. 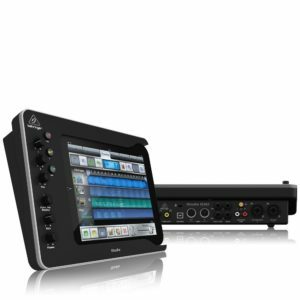 In one compact device for your iPad, StudioConnect combines both the audio and the MIDI hemispheres of the audio world. 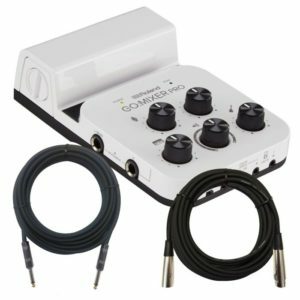 Plug your guitar into StudioConnect’s mono 1/4″ instrument jack and play directly into GarageBand or other apps. Plug a recorder or mixer into StudioConnect’s stereo 3.5 mm input jack and connect the whole band to your iPad. Left- and right-channel RCA plugs give you line-level stereo audio-out. For your headphones, there’s a separate front-panel 3.5 mm stereo jack with its own volume knob. 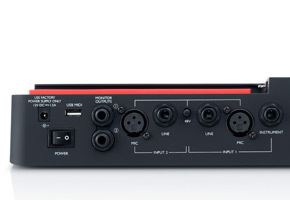 For your MIDI controller or drum pad, StudioConnect’s rear panel gives you a standard 5-pin DIN MIDI-in port. For MIDI Out, there’s another 5-pin DIN MIDI connector on StudioConnect’s rear panel. Connect it to your sequencer, patch bay, or other MIDI gear. 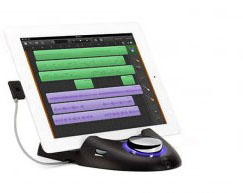 This lets you launch your favorite MIDI controller app and use your iPad as a musical instrument. StudioConnect lets you connect everything for music-making to your iPad, and connect your iPad to everything musical. And as if that weren’t enough, it even charges your iPad while you play.